I’m an apartment dweller, so I only have a sunroom as my “outdoor” space, and I’m also not particularly outdoorsy, so s’mores have been a distant memory for me for quite some time. 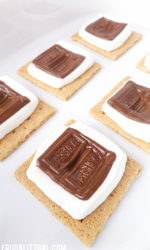 Actually, the last time I enjoyed proper campfire s’mores was as a kid when my family would go camping in Pennsylvania. The next best thing to campfire s’mores for someone like me (I.e not the camping type) is to make them at home in the microwave! 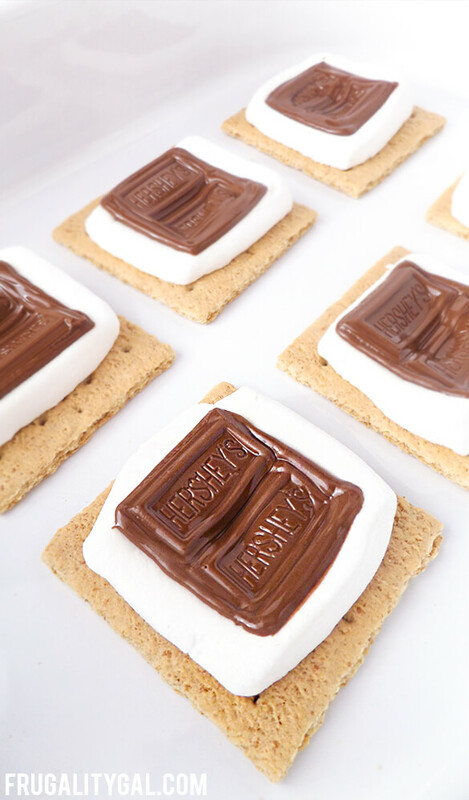 But, there’s a small issue with microwave s’mores – the marshmallows have a tendency of expanding and totally overtaking the chocolate and the graham cracker. 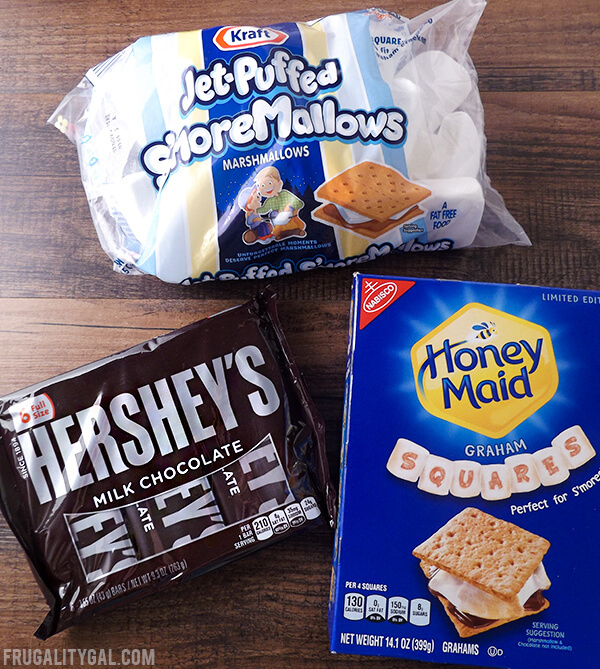 So I’m sharing my little trick for making microwave s’mores not only something tasty (which they basically do on their own without my help), but also something you can enjoy on an at-home movie night treat without marshmallows getting everywhere! 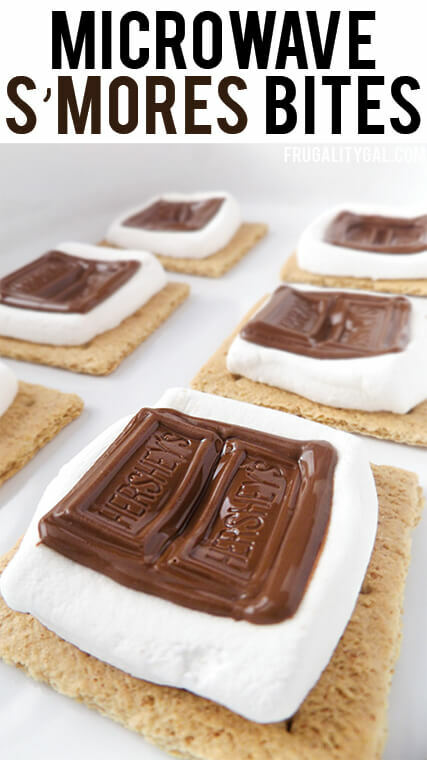 They’re ready in under ten minutes, maybe even five depending on how fast you can carve a marshmallow – and you can make a few at a time, so everyone can enjoy their s’mores together! I made mine in a microwave-safe baking dish because we wanted to make enough goodies to last throughout our movie night-in. 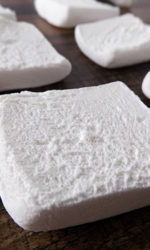 But feel free to microwave them individually or on a large plate – the important thing is to keep them on a flat surface while microwaving, otherwise the marshmallow will ooze off of the graham cracker. First, I cut my marshmallows in half to take off a little height and keep them from expanding wildly in the microwave. 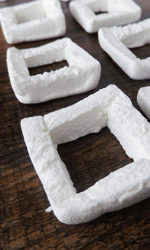 The easiest way to cut one in half is to do one clean cut straight through – the marshmallow will practically cut itself, it’s pretty neat to watch! 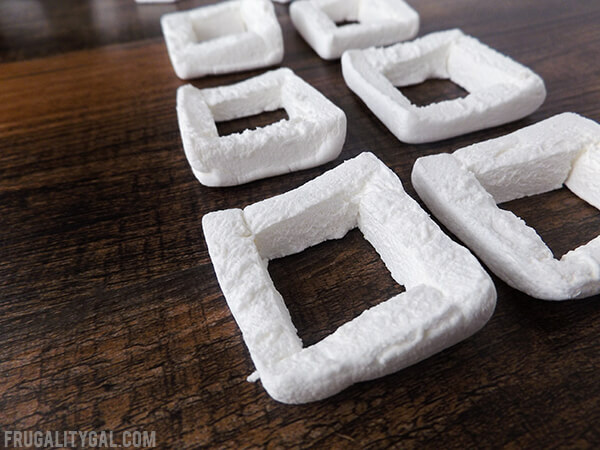 Here’s my trick for a clean s’more – cut out the center of the marshmallow! This will give it room to expand in the center rather than expanding up and out. I just cut a square directly through the marshmallow and pushed the center through to completely remove it. This part takes a few minutes. But if you want to save some time and don’t mind things getting a little messy, feel free to skip this step! Next, I placed my graham cracker squares on a microwave-safe dish and microwaved it for fifteen seconds. Then I placed the cut marshmallows, sticky side down, on the center of the cracker and popped two pieces of Hershey’s on top of each one. I microwaved my s’mores for 10 seconds (anywhere from 10 to 15 seconds was perfect for our microwave). If you choose to skip carving out the center, I’ve found 10 seconds to be the sweet spot, but the time will vary slightly depending on your microwave. 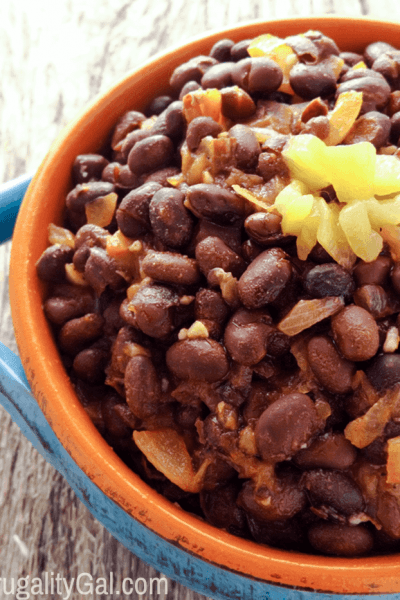 And here they are – ready to eat just a few seconds later! It’s such an easy and quick dessert and while it’s not the same as a campfire s’more it’s a pretty sweet second for something you can make conveniently at home in no time at all! 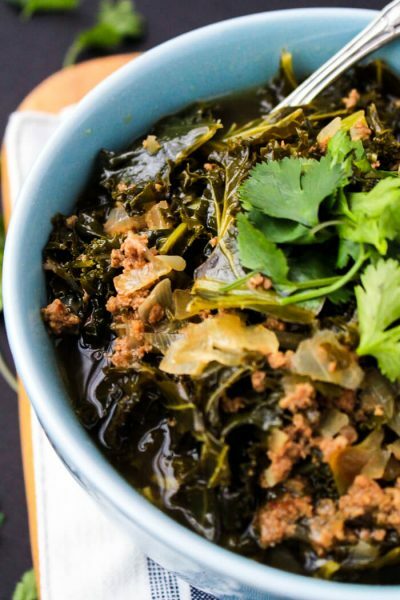 We had ours with a side of Netflix for a quick and easy dessert on a laid back summer night in. 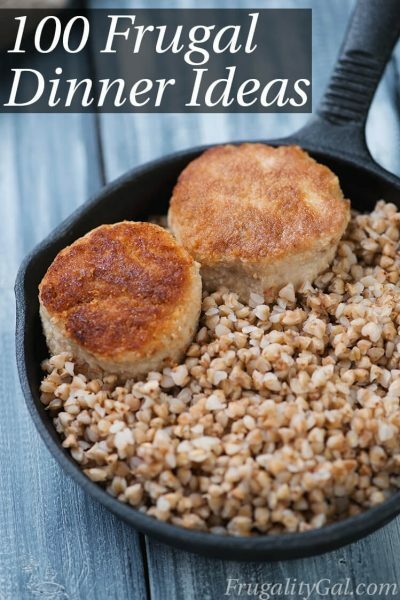 But I bet these would be super fun for a kids’ sleepover or just something fun to do with the kids after dinner! 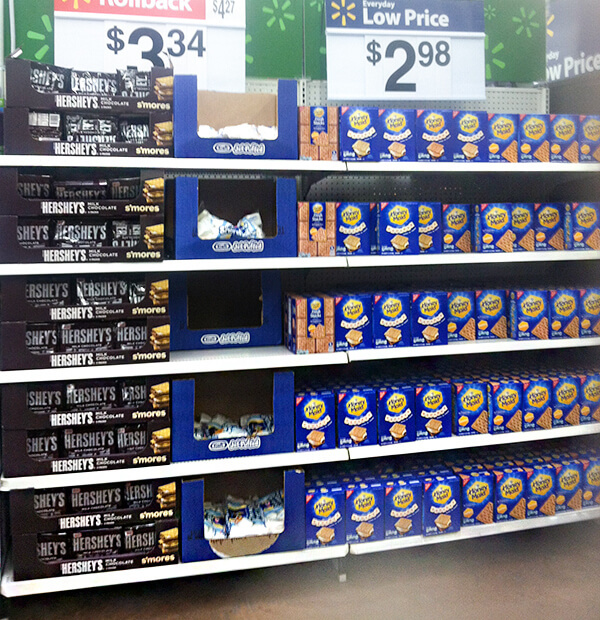 I picked up everything I needed for my microwave s’mores at my local Walmart – all three items were set up next to each other, so it was super quick to grab and go! 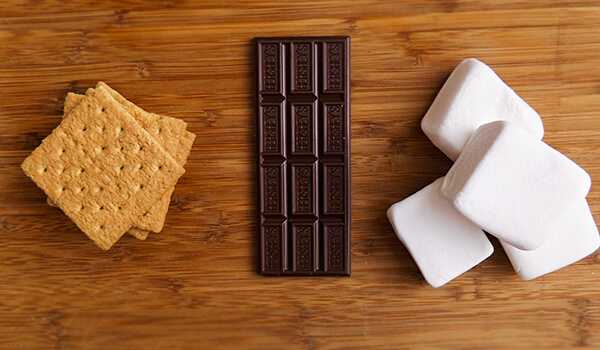 Do you have a favorite way to make s’mores indoors? Please share in the comments below! Ooey-gooey sweet treats made in minutes in the microwave! 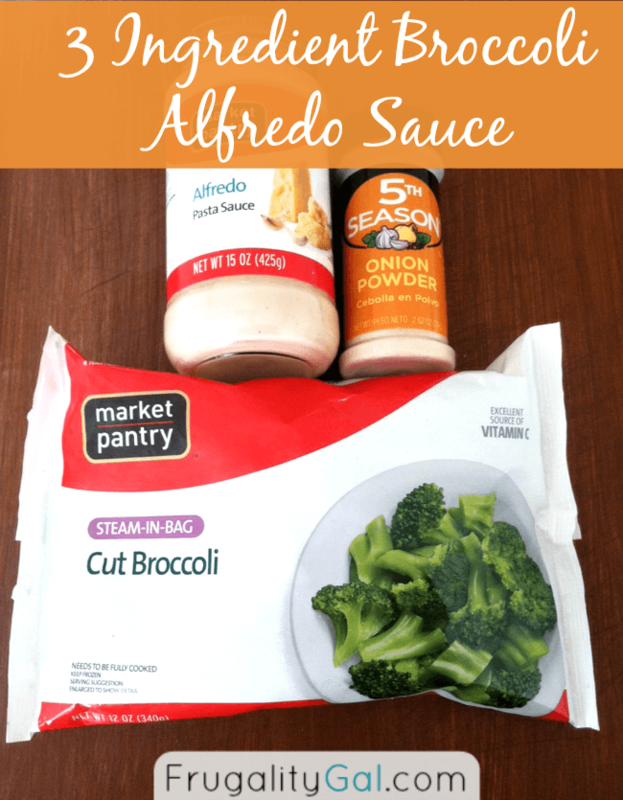 Three ingredients and so easy to make! Who needs a fire? 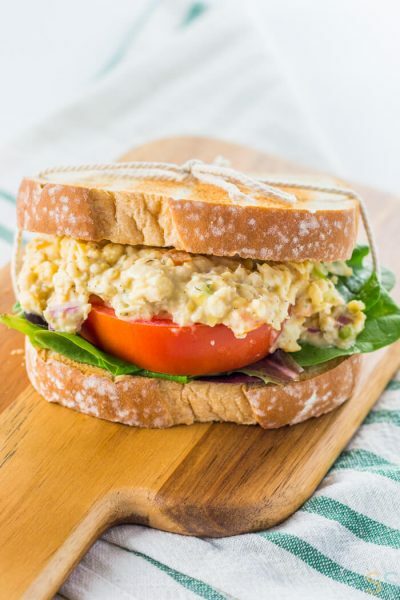 Prepping a flat service to microwave on like a microwave safe plate or baking dish. 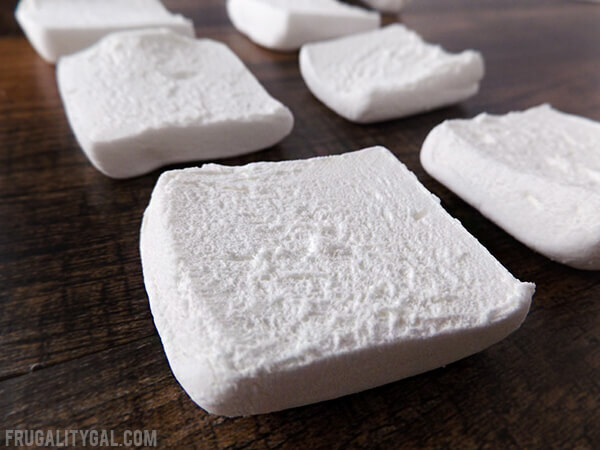 Cut marshmallows in half to take off a little height. It will keep them from expanding in the microwave as well. Easily can be done by cutting straight through the middle with a sharp knife. Then it is time to cut out the center of the marshmallow. This will give room to expand up and out and not worry about making a huge mess in the microwave. 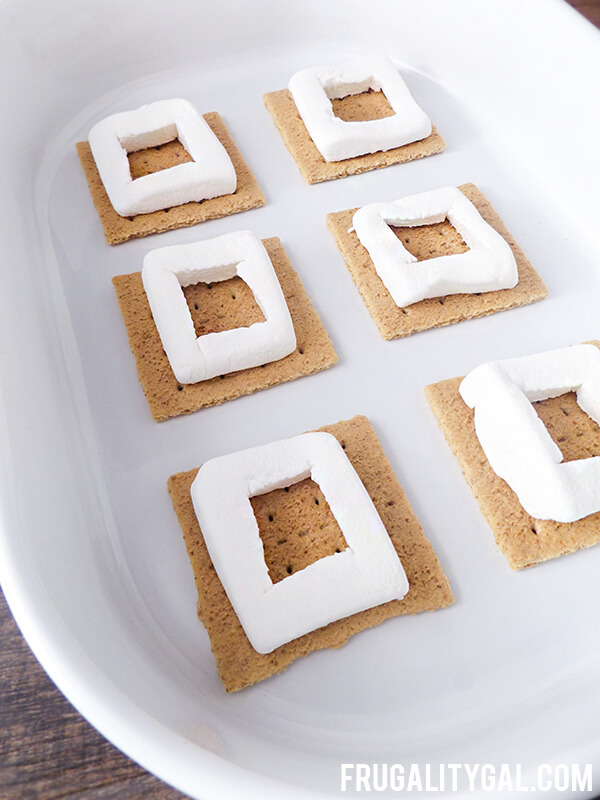 Place graham cracker on microwave safe dish and microwave for 15 seconds. **There is only the graham cracker, this isn't a typo. 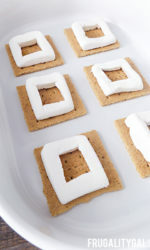 Add marshmallows to the center of the graham crackers, sticky side down. Place two pieces of Hershey's on top of each one. Microwave for 10 seconds. Check and see if they need an additional 5-10 seconds. Oh good ideas! Especially with mini marshmallows – less expansion and no cutting required!